"How to Become a Published Author and Grow Your Business as a Recognized Expert in Your Field With a Best-Selling Book From Home, Guaranteed!" Best-Selling Author of Multiple Books, Michael Stevenson, Will Teach You How to Write, Edit, Publish and Market Your Own Books and eBooks in this Hands-On Home Study Video Course Where You Will Actually Begin Working On Your Very Own Book! The Publishing to Profit Home Study is a hands-on home study course, not a lecture. You'll become a published author by the end of the course when you follow these step-by-step instructions. "Now, I'm teaching my seven-step system to get your book done with guaranteed publishing (NO rejection letters!) in a convenient home study." In this book-writing, publishing and marketing video home study, you'll learn how to become an expert and an authority as a published author in any field you desire. BONUS: Become a Published Author by the End of the Course! 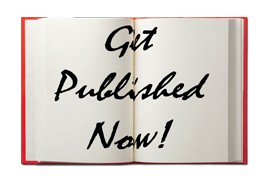 You will actually publish your first book while taking the course! 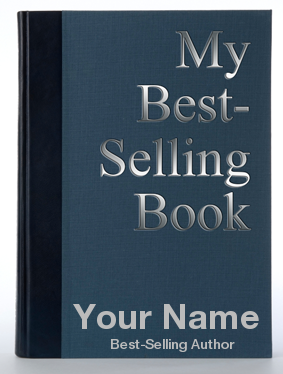 Michael will show you how to write a quote book with a title that you choose, your own name on the cover, a one-page introduction by you, and your own quotes (or use the pre-selected quotes we have chosen from famous people). In the final videos of the course, you'll follow along step-by-step with Michael to publish your book. Follow the simple steps and your book will be available for purchase on Amazon within four to six days! And while you probably have another book in you that you want to write, publishing this quote book first will give you the knowledge and experience to do it again and again and again for your other book projects. We guarantee that you will learn how to write, edit, publish, and market your books with zero fluff and no B.S. You will be absolutely delighted with the quality and volume of the content and we will take on all the risk to prove it. If you feel like your time has been wasted or feel that this event doesn't deliver on the promises made on this page simply email, call, or live chat my team within 30 days for a full and complete refund. Get the Home Study Now! Yes, Michael! I'm ready to write, edit, publish and market my next book easily and effortlessly! Add To Cart Now! Instant Online Access. 100% Guaranteed!